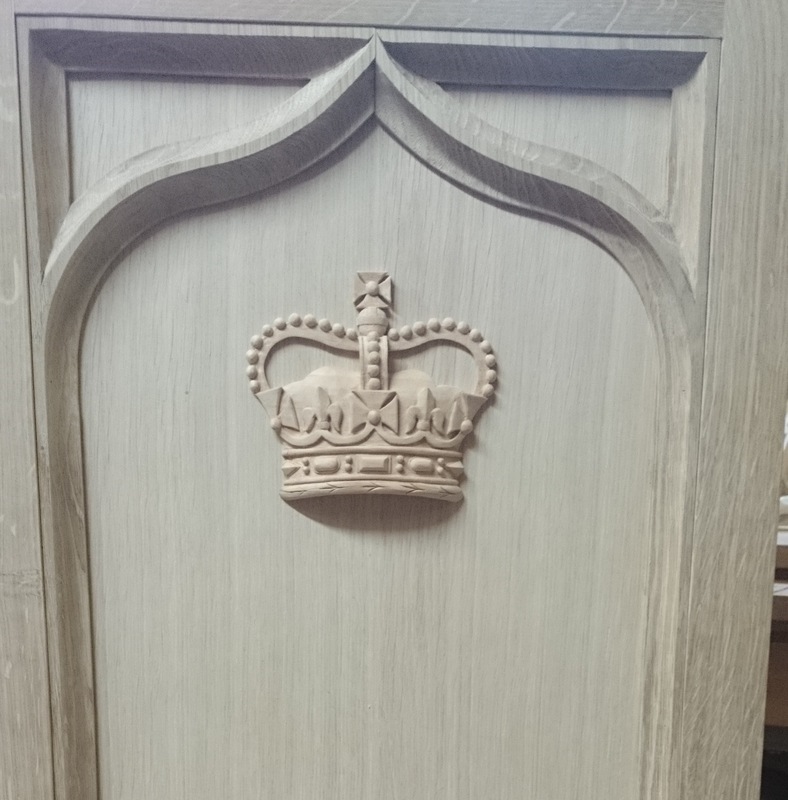 Crown Lectern. Lime Wood & Oak. Detail of a pre gilded crown carved in Lime wood and set on a oak background. This image is a detail of a Gothic style Lectern for a private institution.